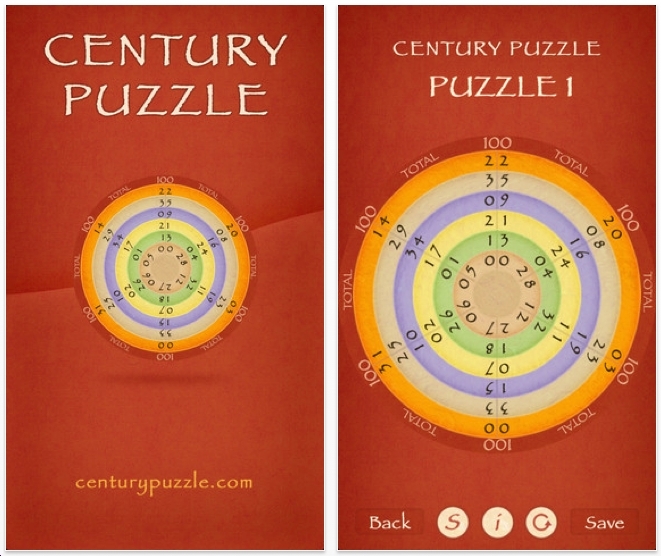 The Best iphone, ipad Puzzle Apps and Mechanical Puzzles: Century Puzzle: old time math puzzle, now an app. 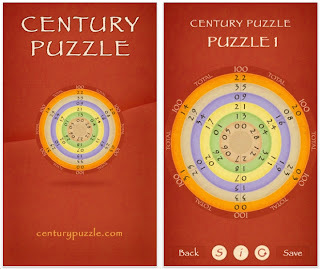 Bakos Lucian recently contacted me about his new puzzle app game: Century Puzzle. The object is to swivel the rings so that each column of numbers adds up to 100. This is a very old type of puzzle. I have a paper version of this - it was hard to solve. But I did it. I'm not sure where it is, but I think it has 5 rings. Century Puzzle has 6 rings - a lot more difficult! There are 100 levels here. I don't expect this puzzle to gain popularity because once you've done 1, there's no urge to do 99 others. Other shapes would add variety - triangles, maybe a Jewish star. The graphics are really nice.